The Dividend Valuation four essential steps are summarized below. 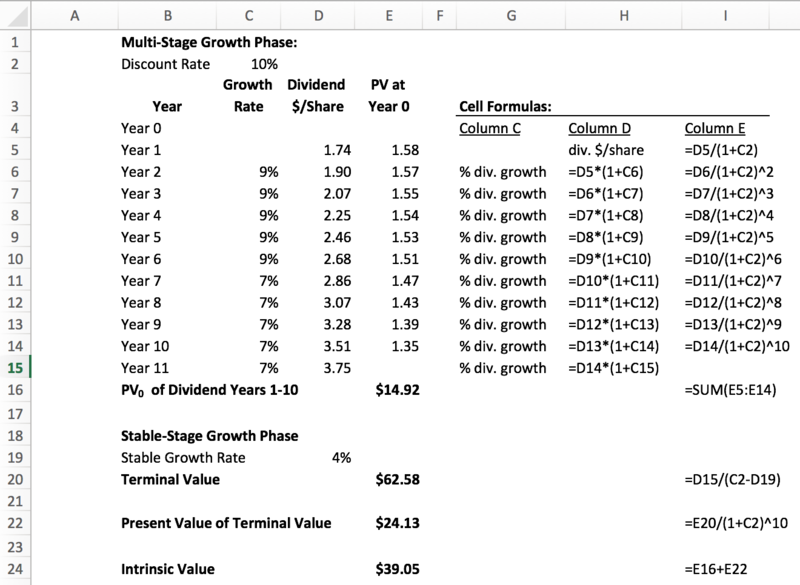 The purpose is to provide a quick reference for this valuation method, illustrate it with an example, and offer a spreadsheet template to facilitate calculations and sensitivity analysis. We’ve covered how to value a business with a Constant Dividend Growth Rate and, a Multi-Stage Dividend Growth Rate. With this fundamental understanding in place, let’s reduce it to the Dividend Valuation four essential steps. From a practical standpoint using an Excel spreadsheet will save you a lot of time and help reduce errors. It also facilitates sensitivity analysis or alternative cases, where the impact of different assumptions on the outcome can be measured. A sensitivity analysis is not a required step to value an investment. However, it is important and, I rarely do valuations without sensitivity cases. Brookfield Infrastructure has been exceeding their dividend growth range target of 5 – 9%. For example, the recent increase was 11%. If we think this strong growth may continue based on knowledge of the company. Then perhaps our 7% growth above is too conservative. We all get “stock tip” right? Let’s say you read or hear that this company’s intrinsic value is $100 per share. Then how do you evaluate the quality of this information? 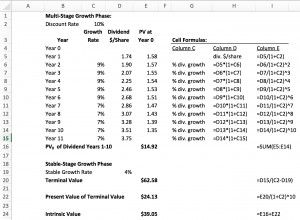 One way you can do this is increase the dividend growth rates to find what level of dividend growth would be required for a present value of $100 per share. The ability to estimate intrinsic value provides the reference point we need to make intelligent investment decisions. The Dividend Valuation Four Essential Steps summarizes a tool we can use with dividend companies. It provides a way to free us from dependency on others on where we place our hard-earned money. 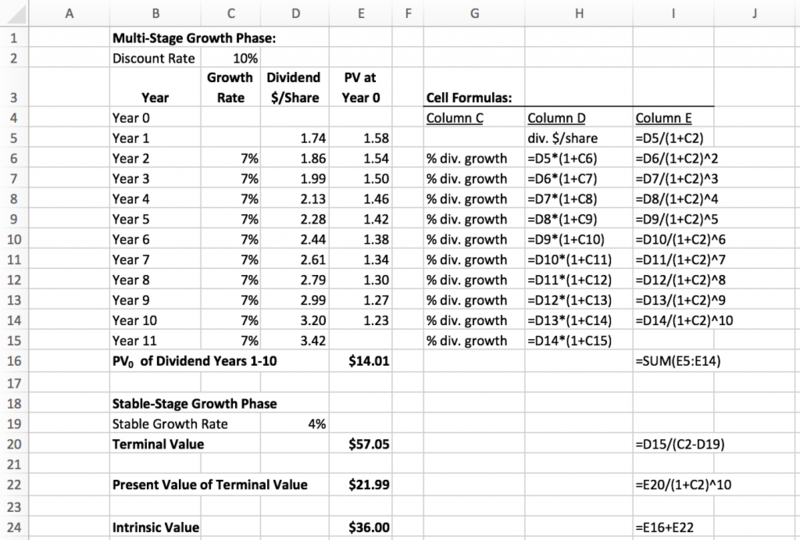 Other discounted cash flow methods methods are available for non-dividend stocks for example. We’ll examine them in the future. Until then let’s put the Dividend Valuation four essential steps to good use to improve our investing. The best of investing to you!